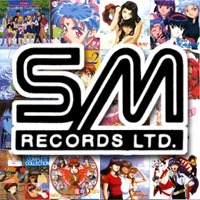 For September, ANIMEfringe brings you an informative article on Son May Records, the Taiwanese company that re-releases many Japanese anime albums. Understand how the system works, learn the differences between an official Japanese release and an SM release, and find out what all the fuss is really about. Also, in a temporary lapse of judgement, we let Adam show us how to catch Pokémon in the back yard... the ADAMVISION way. Now we know why he doesn't leave the house that often. You: "Whaddya mean my CD's from Taiwan? That just can't be... I've never heard of Taiwanese anime! I want my money back!" Clerk: "I'm sorry, that CD has been opened... our policy states we can't take back opened merchandise." You: "What?! You won't take the CD back because of your stupid policy? It's a Taiwan copy!" Clerk: "I'm sorry, sir. There's nothing I can do." Well, you might not be able to do anything about the CDs you already own, but with the guidance of Wataru and Adam's informative article, you might just be able to avoid being hoodwinked next time. It's a beautiful day outside, and Adam is out absorbing nourishing UV rays and capturing wild Pokémon in hopes of becoming the Pokémon Master. He's taken the opportunity to show us all the ideal way to catch 'em all. Good luck, Adam! NOTE: Several Pokémon were harmed in the making of this ADAMVISION.